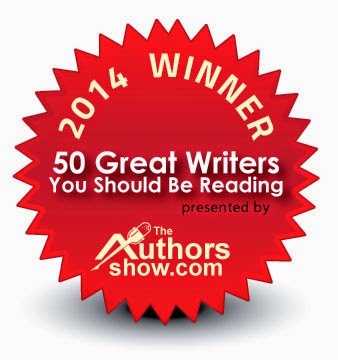 Each year, The Authors Show runs a competition called '50 Great Writers You Should be Reading.' In so doing they introduce new authors to the reading public in the US and elsewhere. This year I was fortunate to be one of the chosen fifty writers - who will be featured in a forthcoming publication by www.TheAuthorsShow.com - the electronic version being available above. This year I am featured at No3, amongst some very strong competition in all genres, in which I contribute as a Crime Thriller writer. Promoting my newest murder mystery, Abduction: An Angel over Rimini, to a new and experienced American reading audience is not always easy for a European, despite claims by Amazon and the various search engines like Google, Bing & Yahoo. These giants seem to control our lives on the internet, but with the help of Don McCauley and Daniel Hampson - of The Authors Show - we can hope for a more prominent billing in the future, in order for our readers across the pond to enjoy our European novels. 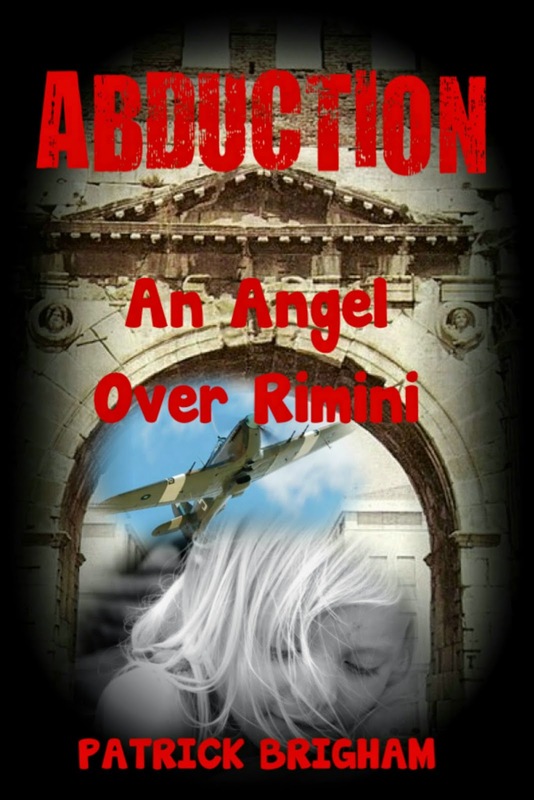 It is 2002 and little Penelope Scratchford has been abducted in Italy. The Italian State Police has given up its investigation and believes her parents to be responsible for her disappearance and her probable murder, but cannot prove it. The British authorities believe she is still alive, as does the UK Press. In order to reopen this cold case, Europol offers its assistance. Detective Chief Inspector Michael Lambert – now retired from Thames Valley Police – is sent to Rimini as a Europol Liaison Officer, in order to assist the Italian police in re-opening their investigation. His quest takes him from Rimini to Greece and the River Evros, where illegal migrants frequently cross over from Turkey. Following this recognised people smuggling route, his investigations also take him to Bulgaria, where he discovers a crooked adoption racket. Finding some promising leads to the whereabouts of the little English girl, he is able to establish if she is alive or dead. It was 1991, and early spring, as I landed at Stuttgart airport. I have always loved southern Germany, and this time I had come with an old friend Garrick Coleman, to visit an antique ‘hypermarket’ situated on the outskirts of the town. Landing at Stuttgart airport had been a strange experience for us, because coinciding with a number of international arrivals or departures, it seemed that there were no German faces to be seen. We thought for a moment we had caught the wrong aircraft, judging by the sea of Turkish people in front of us, some greeting each other, others with glazed eyes, saying goodbye to loved-ones; but we were wrong, we were in Germany. From there we went to a friendly comfortable hotel; then a few beers with some brockworst and sauerkraut at a local pub, and it was time for bed. In the morning after a leisurely breakfast we visited the hypermarket, to be met on arrival by the owner and his English speaking manageress, both waiting at the main entrance. Garrick is Britain’s leading dealer in antique chess sets, but at the time we were also interested in Czech antique glass paperweights, and we thought we might rent a stall at the hypermarket, to sell small pieces of art virtu, chess sets and decorated items, to the then burgeoning European antique and art market. 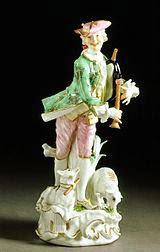 In the end we didn’t do it, but our host was a very friendly and cultured man, and he insisted on showing us his private collection of Meissen porcelain, before our return to London. It was an enormous collection, which he kept securely on the top floor of the building, and it was a wonderful sight to behold. Spanning the ages, the porcelain pieces glistened with quality; each item with its own beauty, the intricate artisan work, the precision the detail, and finally the crossed sabres on the base confirming provenance. Then we got to the Nazi section! It was dull, black and white, a little bit gothic, and to all accounts not very valuable. I could quite understand why, and our host - who was Jewish - said it was part of the history of the Meissen factory, so it mattered. But that was all he said. By chance, later in the day, I met an interesting man, who ran the social security office in the City of Dresden. In 1990 the first freely elected ‘Peoples Chamber’ in the GDR had decided to accede to the Federal Republic of Germany, so it was by then, fully united. He told me of his problems, about the former East German chaos, and I replied with tales from Bulgaria and other countries that were experiencing similar changes. He told me how his local staff would start to disappear at around two o’clock in the afternoon, only to claim the following day that they had to queue for food. He had said to them, ‘But the shops are groaning with food, we west Germans have made sure you have everything in abundance, you don’t need to queue for anything anymore.’ Later he had decided that they probably couldn’t work for more than five hours a day, and looking in his beer mug, he sighed, saying - “ That is communism for you!” And it was. The story of Germany, is about a new beginning, it is about saying goodbye to a past for which most Germans today share no responsibility; simply, they are too young. But, judging by German TV, it is a country which feels the need to apologise almost daily for the past, but in truth one has to wonder why - quite so much - anymore? The ‘New Germany’ of 1949 spawned many remarkable figures, including Ludwig Erhard, Konrad Adenauer and of course the ex Mayor of Berlin, Willy Brant, all of whom served - not only to change the face of Germany - but of Europe itself. When in 1951 Germany became a member of the Council of Europe, and later a party to the European Coal and Steel Community, the stage was set for the creation of the EU as we know it today. When in 1954 the Federal Republic gained sovereignty following the Treaty of Paris - and the German national soccer team won the World cup - it was time to see Germany in a different light. Unfortunately, while this was all happening, East Germany was being heavily suppressed by Russia, following a season of riots in East Berlin. By 1946 Germany had already begun to receive aid from America under the GARIOA Programme, and by 1948, from the George Marshall Plan - to conquer ‘Hunger, poverty, despair and chaos’ - and which was to help create the ‘New Germany,’ and effect its necessary economic recovery. Between 1948 and 1952, Germany received $1.4 billion USD alone under the Marshall plan, given to a country which - with the inspiration of men like Ludwig Erhard - now found itself moving towards a ‘social market economy;’ which in effect is what the EU is all about today. Then in 1955 came the termination of the Occupation Statute, and the Federal Republic of Germany’s accession into NATO. Although this whole process was about German sovereignty; two years later in 1957 we saw the formation of the European Economic Community (EEC) and the Treaty of Rome, with Germany as a signatory. Europe had finally grown up and had begun to change, with the clasp of friendship between Konrad Adenauer and Charles de Gaulle of France, a Europe no loger at war but fighting for peace. Post war idealism had now turned Germany from the ‘bad boy of Europe’ to a position of leadership, and the miracle of economic change began to happen. 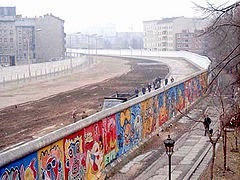 Then, the only war in Europe was the ‘cold war,’ symbolically underlined by the building of the ‘The wall’ by the Soviets, in 1961. For some countries in the rest of Europe, Germany’s economic might, might well have seemed to derive from their own misfortune - as was also the case with Japan - but this is more a matter of ignorance than fact, and many foreign fortunes were made from the reconstruction of the scarred landscape of post war Germany. Now it is like everywhere else in the world, with international companies vying for a share of world markets, and using international money. But, the reality of the German economic miracle, was Germany itself, and the German people. A country renowned for its hard work, good organising ability, and engineering skills, it is now difficult to fault its claim to be the third most powerful industrialised nation in the world, something that it has every right to be proud of. The slow process of change in Bulgaria, seems to be fraught with unconvincing excuses. The whole sordid business of expediting various faction’s special interests, seems to have taken over the political agenda, bogging down the more important issues of transition, and the fiction of privatisation. But the German story must be one, which should invigorate the flagging determination of much of eastern Europe, because it was one of political determination, of coalition, of social responsibility, and finally of nationhood. In Germany, the end of National Socialism brought out the angels, and not the political adventurers that we have often seen in the Balkans. Symbolised by the famous Berlin speech of President John Kennedy in 1963, it seemed then, that the main German preoccupation was democracy. But, with the death of Konrad Adenauer in 1967, many waited with baited breath to see if there were any angels left, and there were. One came in the form of Willy Brant. Famous for his fight against Hitler by his activities in the Norwegian underground, and with the continuing turbulence in the world of east-west; as the new German Chancellor, he embarked on the now famous ‘Ostpolitik’ process, culminating on the 12th August 1970 in Moscow, when a treaty was signed by Brant in which both sides stated that they had no territorial claims against anyone. In a letter presented to the Soviets at the time it was stated that the ‘treaty’ did not contradict its aim of working towards a peace in Europe ‘ in which the German people will regain their unity, in free self determination,’ and in this statement, the dreams of a nation were expressed. Germany from the beginning of the ‘cold war’ seemed to be in the front line of possible aggression, playing host to NATO troops and missiles, and dealing with the pressures of the ‘two countries, one nation syndrome,’ while the so called super powers, played power politics around it. But meanwhile the economy expanded, which in itself was an irritant to the centrally planned economy of its immediate neighbour. Perhaps winning the hearts and minds of the ordinary people in East Germany was easy, it was the politics which was the problem; because by then it had become simple to see who was winning the economic battle. With the ongoing missile talks, and the negotiations, Germany experienced serious political casualties, particularly when it came to matters of security versus the economy. Helmut Schmit was forced to resign as Chancellor during the course of 1982, in favour of Helmut Kohl, becoming one of the most fortuitous events in modern German history . 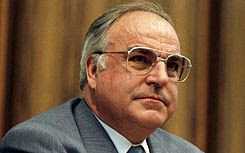 For eighteen years Helmut Kohl stood out as the tough man of Europe, both by physical size and political stature, but rather like Winston Churchill - having successfully steered his country through to ultimate change - it seemed that he had to go! Without him, and his predecessors - those who understood the reality of European integration versus communism - very little would have changed. Because, rather like someone facing the end of a sad marriage, he was wise enough to find common ground with his estranged partner; Eric Honecker, and his marriage guidance councillor, Mikhail Gobachov. On the subject matter of ultimate change, his reign - like him or hate him - was remarkable. It is also remarkable, the amount the German people were prepared to take on. Despite all the apocryphal stories one hears about the then East Germany - the jewel in the crown of the Soviets - West Germany took on a disintegrating mess, much as one might see in Romania or Bulgaria today. The speed of change, and the relatively low level of actual unemployment in the east of Germany (16% at present) is a wonder, realising the current EU unemployment position. It was ultimately Germany, which paved the way to ‘the changes’ in Eastern Europe. Germany has always had good relationships in Bulgaria, but mainly because of its engineering traditions; the fact is, most managers in manufacturing speak German. And, it is a major trading partner on a wide spectrum of activities, but trucks, motor cars, manufacturing machinery, fabrics, wine and food, have always come ‘top of the list.’ In the last four years - published figures 1994 to 1997 - the balance of payments has remained in Germanys favour, 1995 being the year of greatest negative difference for Bulgaria. But, last year saw an improvement - not only in total trade figures - but in the difference as well. During the course of 1997 Germany exported over .......to Bulgaria, whilst in return, Germany received ....... in imports, thus reducing the Bulgarian balance of payments by some 28%. In an ideal world this would seem encouraging, but with Bulgarian obsession with German cars and consumer goods; although a good prospective market for Germany, with the likely changes in border tariffs, this might serve to tip the balance even further Germany’s way! January 1999 has been a terrific time for Germany. Not only is it the residing President of the EU, but it has simultaneously had to oversee the introduction of the EURO, through the good offices of minister of finance Oskar Lafontaine. This, and a ‘Euro-Socialist’ coalition Government, has taken Germany to the forefront of conceptual politics. Having kept its post-war promise of a ‘social market economy;’ with all the integrated social and infrastructural spending in place, the new Government of Gehard Schroder, is branching off even further into the realms of profound Liberalism. With a policy which has very marked Green tendencies, time will only tell of the consequences of its present ‘free spending proposals,’ and the slightly nutty first evidence of a ‘U’ turn in its nuclear policy - both civil and military - and the uncontrolled utterances of Jurgen Trittin. Maybe, this is the price we all have to pay for peace? This is a preview of my newest crime thriller and murder mystery, which takes place in Northern Greece, close to the borders of Turkey and Bulgaria. It is a poor region, occupied mainly by subsistence farmers, but it is also an area fraught with illegal immigrants from all over the Middle East, Asia and North Africa. Jam-packed with intrigue and many conspiracy theories, the little Balkan village of Kzenia harbours many dark secrets. But, because the age old smuggling profession has little or no conscience, it also means that the eyes of the world are often carefully diverted in the media but, not the probing eyes of MI6 or the careful investigations of British police detective, DCI Michael Lambert of Europol. Dimitrios Pantzos was an old man. In his 80s, his thoughts not only dwelt on his own austere past, but also that of his parents. In 1923 they had been forced to move from Turkish Thrace, as part of the Great Migration, to the then newly fashioned country of Greece. As a first generation Greek National, he had little reason to love the Turks and felt a deep resentment for the damage they had caused his family and their lives. Once from a wealthy family of landowners, his father - and those members of the family who managed to survive Ataturk’s bloody partition - had been forced to cross the River Evros into Greece, only to become a subsistence farmer. In common with many in the Evros region, when he became a man, Dimitrios accordingly held a grudge, which his children grandchildren and great grandchildren, could never truly understand. Living in the little riverside village of Kzenia, overlooking the meandering River Ardas, he too had tilled the soil throughout his life. Witnessing Greece’s turbulent past, the various political upheavals - the rule of the Colonels and their cursed junta - and finally their spendthrift successors; somehow he had managed to survive. He remembered the Communists during the troubles in 1948 and like many other Greeks, hated them like the plague. But, because he didn’t like the Turks either, he – akin to many from his country – felt isolated, and detached from the outside world. The Greek newspapers glibly repeated the mantra, that Greece was now a fully fledged member of the EU, which - other than some minor help to subsistence farmers - had improved life very little, for him or his family. With worn out tools and increasingly arthritic joints, it had become a struggle to survive the recent past, and he was pleased when a neighbour - very reluctantly - agreed to rent his land from him. Now, all he could manage was to plant a few vegetables in his garden, exclusively for his own needs. A widower for some ten years, the loneliness he felt was indescribable. Even with the other old men in the village, who daily inhabited the pensioner’s café, he had little in common. They rarely seemed mournful for very long, and when their loved ones died, somehow accepted their passing, as a matter of course. But Dimitrios Pantzos was different, because - although he had been a farmer all his life – he was also a musician, a philosopher and a poet. The ever present grief, which for years had held him in its icy and unrelenting grip, often stopped him from performing even the most mundane daily tasks and rarely seemed to go away. This grey and numbing spectre had appeared the very same day that his wife died. It had happened quite suddenly, one Sunday morning, during the cruel month of April. The horror of waking up next to her cold and lifeless body, was a memory which could never be adequately described; even by a philosopher and poet such as himself. It was as though his life had also come to an end. This had all happened some time before, but to the old man, it still seemed like yesterday. Many in the village thought him quite mad, because, as a self proclaimed intellectual, he appeared to inhabit some unfathomable and distant in-between world which they simply didn’t understand. And so, he learned to ignore the cruel whispers and jibes coming from his neighbours, and of course, all his so called friends. They laughed at his claims to understand the very essence of Greece, which was something he described in his poems and songs. Maybe, this was because they were far too preoccupied reading their seed catalogues and farming magazines; that is, of course, if they could read at all. Dimitrios Pantzos had a small piece of land next to the River Ardas. 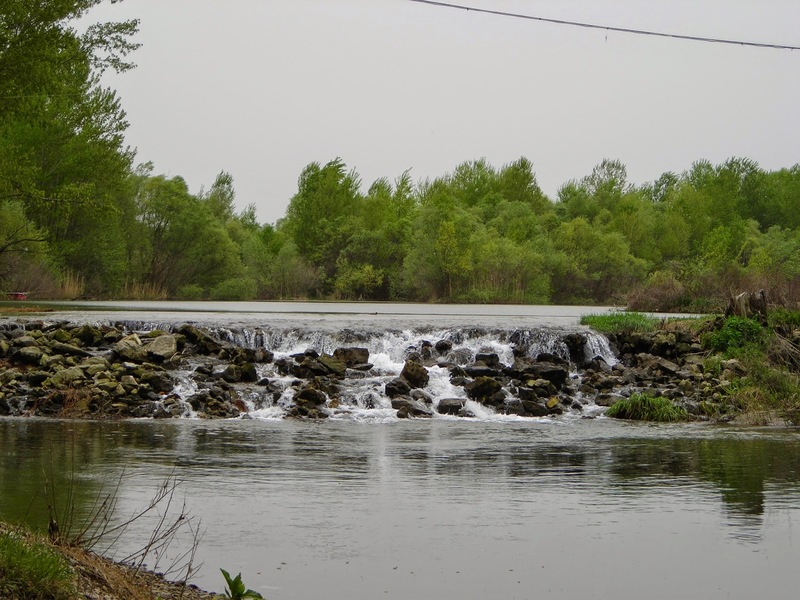 It was good for nothing except for a few trees, and being next to the river path, it was occasionally prone to flooding in winter when the Bulgarians - usually quite gratuitously - opened up the sluice gates on their side of the border. But in spring and summer the land remained dry and usable - adjacent plots having become occasional barbeque sites - and so Dimitrios, in his loneliness and with little else to do, opened up a small riverside café. The tables and chairs were an eclectic mixture; some tables simply being merely planks of wood on makeshift trestles, but many items were also donated to him free of charge – often with a smirk or a patronizing grin - by local people, who had never really taken him very seriously. Finally, he built a little wooden hut to house the coffee machine and the sink unit, both of which had been given by the owner of a defunct café in Orestiada. By connecting a garden hose to a nearby tap and by plugging into the local electrical substation; he was finally able to open his café which he named after his late and beloved wife. He called it Café Marta. On each and every table, he placed a candle and strung across the trees, the little outdoor café now had fairy lights, and a spotlight which shone high into the sky at night and Dimitrios was now set. for his long awaited opening. He advertised the event in the village post office, the supermarket and petrol station, but sadly on the day, nobody came. Even the local Greek Orthodox Priest refused to come and bless the opening, claiming that he would be ridiculed by his local parishioners, were he to do so, and the villagers refused to come, because they said the old man was mad. But, Dimitrios Pantzos defied their insults and the brutal humiliation handed out to him, and - despite the villager’s obvious scorn - he opened his riverside café early one summer evening. That night Dimitrios Pantzos loudly played his beloved Marta’s favourite traditional Greek love songs, sang with passion to the glittering stars; but seeing Marta’s smiling face before him, only he could hear her words of love. Over the passing years, despite local derision and his increasing loneliness, he continued his daily walk each day to the river. There, he would patiently unlock his hut, play his favourite music very loudly and occasionally, Dimitrios Pantzos would even dance. With arms held out straight, his fingers clicking, his face stern and full of the emotion which only Greek men can truly display when they weep, Dimitrios Pantzos would slowly twirl, jump and spin amongst the assorted tables and chairs, and in so doing he would reverently display the deep and painful loss he felt for his beloved Marta, and pray that one day, they would finally be reunited in heaven. One summer’s day old Dimitrios saw a woman’s body floating face down in the River Ardas. Practically opposite his café, she was lying in a pool which had formed in the delta, and snagged by the bough of a tree which had fallen during the night, she was completely motionless. It was early one morning and as usual, there were no people around. Knowing that it would take him some time to get to the village - due to his age - with great determination, he painfully ascended the steep hill leading up from the river to the centre of the village and then turned left towards the high street. Too early for the other village elders to be gossiping in their usual café by the bus stop, Dimitrios made for the post office which always opened early. ‘I have just seen a body floating in the river, by my café,’ he blurted out to the postmistress and her husband. They were sitting and drinking frappe, at a roadside table. The old man looked bewildered and then started along the river towards the local council dump. ‘There she is, she must have been freed by the current. The Bulgarians must have opened up their sluices, while I was away, and the body must have been carried on down the river.’ The brown toothed man looked with considerable apprehension at the woman’s unmoving body, now bobbing gently in the undulating water. Knowing full well that the postmaster wouldn’t dream of mentioning his name in his report to the police, old Dimitrios slowly walked back towards Café Marta and got on with his daily chores. Old Dimitrios sat outside his little shed, drinking strong, sweet Greek coffee, which he had prepared on his little camp-gas stove. He did this every morning, despite the fact that the coffee grains, sometimes got stuck under his denture plate. Lighting up a strong Balkan cigarette, he looked at the day and at two Grey Herons who - seemingly fearless - strutted along the nearby underwater concrete bridge, as if they owned it. In the distance he watched a noisy moped driving onto the bridge, splashing water into the air. The young rider was nonchalantly resting his legs on the front mudguard as he crossed the bridge, before cycling on, up to the village. The two Grey Herons casually stepped to one side, as he passed, and continued fishing for minnows. Half an hour later, a distinctive blue and white police car arrived at the river scene, driven by a uniformed police officer, with a young woman sitting in the front passenger seat. Occupying the rear seat was the postmaster. He appeared to be having an animated conversation, with the two front seat passengers, whilst waving his arm in the general direction of the woman’s floating corpse. Old Dimitrios was completely ignored, but even so, he watched events very closely. Meanwhile, the postmistress had arrived in the Suzuki jeep, in order to collect her husband – who, having waved goodbye to the two officers - gladly left the tragic scene, both ignoring the old man as they swiftly drove past. After a few minutes discussion, the woman - who may well have been a police detective - returned to the car and holding a microphone, she proceeded to talk to someone over the radio. Fifteen minutes later, a Mercedes mortuary ambulance arrived, followed closely by a red painted emergency vehicle, out of which four burly men immerged. Later still, a shallow river punt appeared from downriver, and manned by two tough looking men in wetsuits, they moored up to a nearby post. The two men in wetsuits, then - after donning tanks and masks - searched the area underwater, while the four men from the emergency vehicle manhandled the woman onto the riverbank. Having put on latex gloves, the two police officers then appeared to briefly search the body, presumably for some sort of identification, which – judging by the way they shook their heads - they couldn’t find. Then, having taken photographs of the scene and the woman’s corpse, the body was duly zipped up in a green body bag and carried by stretcher to the awaiting mortuary ambulance. To old Dimitrios, these events had happened so quickly that; before he knew it, he was once more alone on the riverbank and left to his own devices. He thought how strange it was that old people become invisible to others, even over matters of life and death. Dimitrios Pantzos wondered who the poor unfortunate woman might have been, and how she had come to be drowned in the river? But, with his limited knowledge of the world, he finally concluded that she must have either been an Ottoman or a Frank. Either way, the river was better off without her, whoever she might have been.